John Absmeier has served as a director of the Company since March 2019. 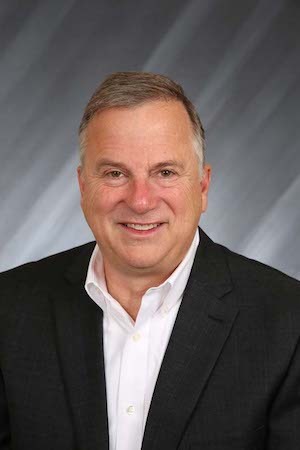 Mr. Absmeier has been the Chief Technology Officer of Lear Corporation ("Lear"), a public company and leading supplier of automotive seating and electrical and electronic systems since June 2018. As Chief Technology Officer, Mr. Absmeier leads all aspects of Lear’s technology and innovation efforts, reporting to the President and Chief Executive Officer. Prior to joining Lear, he was Vice President of Smart Machines at Samsung Electronics from November 2015 through May 2018. While at Samsung, he led the company’s acquisition of Harman International and in May 2017, became the Senior Vice President and General Manager of the ADAS/Autonomous business unit at Harmon. Prior to joining Samsung, Mr. Absmeier was with Delphi Corporation for 19 years, where he held several positions of increasing responsibility. Most recently, from October 2012 to November 2015, he was Managing Director - Delphi Labs @Silicon Valley and Autonomous Driving, and from October 2006 to October 2012, Business Director – Electronic Controls, Asia Pacific. Also during his time at Delphi, Mr. Absmeier held several roles in the areas of hybrid and electric vehicles, fuel cells and telematics. Mr. Absmeier holds a M.S. in Mechanical Engineering and Masters in Management of Technology from the University of California, Berkeley, and a B.S. in Mechanical Engineering from Purdue University. Before launching his business career, Mr. Absmeier served over eight years with the United States Marine Corps, during which he was awarded the Navy Achievement Medal for outstanding performance. , President and Chief Executive Officer PTC, Inc.
James E. Heppelmann has served as a director of the Company since August 2014. Mr. Heppelmann has been the President and Chief Executive Officer of PTC, Inc. (“PTC”), a public global software and service company, since 2010. PTC (formerly Parametric Technology Corporation) develops technology solutions that help companies transform the way they create, operate, and service smart, connected products. 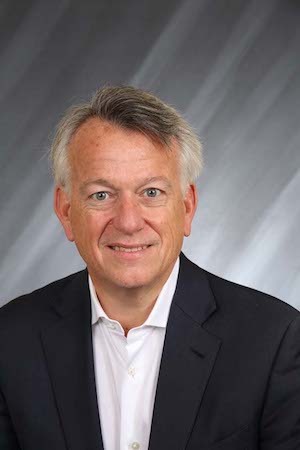 During his tenure at PTC, Mr. Heppelmann has served in various executive roles, including President, Chief Operating Officer, Chief Product Officer, and Executive Vice President, Software Products. Mr. Heppelmann joined PTC in 1998 when the company acquired Windchill Technologies, where he was co-founder, Chief Technical Officer, and Vice President of Marketing. 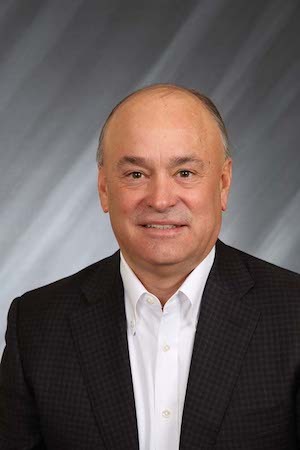 Previously, Mr. Heppelmann served as Chief Technology Officer of Metaphase, Inc. from 1992 through 1997 and held various positions at Control Data Corporation from 1985 through 1992. Mr. Heppelmann has served on the board of directors of PTC since 2008. Mr. Heppelmann is on the Executive Advisory Board of FIRST (For Inspiration and Recognition of Science and Technology), and is on the Dean's Advisory Board of the University of Minnesota College of Science and Engineering. Mr. Heppelmann brings to the Board a view into industries relevant to us, a detailed understanding of technological issues including the rapid evolution of smart, connected products and the Internet of Things, and insight into future directions of technology development. Charles W. Peffer has served as a director of the Company since our IPO in March 2010. 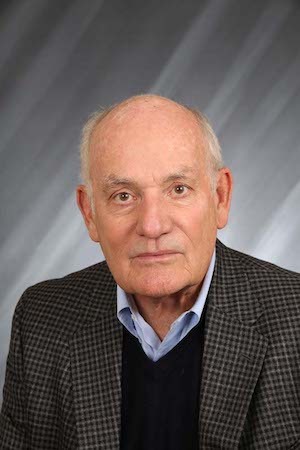 Mr. Peffer was a partner of KPMG LLP and its predecessor firms from 1979 until his retirement in 2002. Mr. Peffer served in KPMG’s Kansas City office as Partner in Charge of Audit from 1986 to 1993 and as Managing Partner from 1993 to 2000. Mr. Peffer has been a director of Garmin, Ltd., a public company, since 2004 and a director of HD Supply Holdings, Inc. since 2013. Mr. Peffer also is a director of the Commerce Funds, a family of seven funds with approximately $2 billion in assets, and Lockton, Inc, a privately-owned insurance brokerage company. 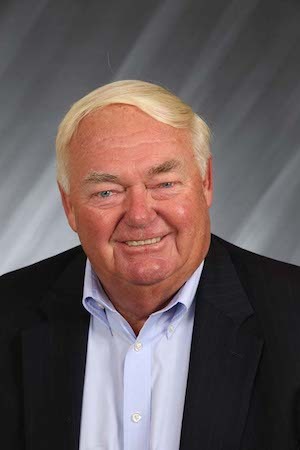 Mr. Peffer was a director of NPC International, a franchisee of over 1,200 Pizza Hut locations and approximately 150 Wendy's locations, through 2018. Mr. Peffer brings to the Board extensive practical and management experience in public accounting and corporate finance, including significant experience with KPMG and its predecessor firms. Mr. Peffer also brings leadership expertise through his directorship roles in other public companies, including service on audit committees. Kirk P. Pond has served as a director of the Company since May 2011. Mr. Pond was the President and Chief Executive Officer of Fairchild Semiconductor International, Inc. (“Fairchild”), a public company, from June 1996 until May 2005. He also served as the chairman of Fairchild’s board of directors from March 1997 until June 2006. Prior to his service with Fairchild and its predecessor, National Semiconductor, Mr. Pond served in executive positions with Timex Corporation and Texas Instruments. Mr. Pond served as a member of the board of directors of the Federal Reserve Bank of Boston from January 2004 until January 2007, and he has served on the board of directors of WEX Inc., a public company, since 2005 and on the board of directors of Brooks Automation, a public company, since 2007. Mr. Pond has also served on the Advisory Board of the University of Arkansas Engineering School since 1987. Mr. Pond brings to the Board significant executive leadership experience as the former Chief Executive Officer of a successful public company. In addition, his broad background in technology, manufacturing, global marketing, and finance provide the Board and our management additional insights and perspective on our business and strategy. 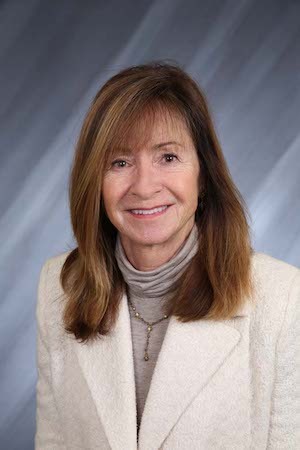 Constance E. Skidmore has served as a director of the Company since May 2017. Ms. Skidmore retired from PricewaterhouseCoopers (“PwC”) in 2009, after serving for over two decades as a partner, including a term on its governing board. 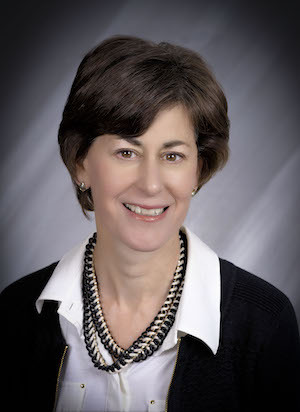 Ms. Skidmore has served on the board of directors of Comfort Systems USA, Inc., a HVAC supply company, since 2012 and currently serves on its audit committee. She also served on the board of directors of ShoreTel, Inc., a telecommunications company, from 2014 until September 2017, when it was sold to Mitel. Ms. Skidmore also serves on the board of directors of several other privately-held and non-profit companies, including the V Foundation for Cancer Research and Viz Kinect. Ms. Skidmore holds a B.S. in psychology from Florida State University, and a M.S. in taxation from Golden Gate University. Ms. Skidmore brings to the Board more than thirty years of experience in accounting and finance and significant experience and knowledge in talent management and strategic planning. Ms. Skidmore also brings leadership expertise through her directorship roles in other public companies, including service on audit committees. Martha Sullivan is Chief Executive Officer of Sensata Technologies (NYSE:ST), a rapidly growing $3+ billion business with operations and business centers in 12 countries, a market capitalization of approximately $8B and more than 22,000 employees worldwide including approximately 900 people in mostly engineering, business development and corporate support roles at its U.S. headquarters in Attleboro, MA. In 2015, Ms. Sullivan was chosen to receive the 2015 Bryant University Women’s Summit New England Businesswoman of the Year Award by the Women’s Summit Committee. In 2013, Sensata was ranked #7 on The Boston Globe’s Top 100 Performing Companies in Massachusetts. In 2014, 2015, 2017 and 2018, the company and Ms. Sullivan were recognized on the annual list of Top 100 Women Led Businesses in Massachusetts by The Commonwealth Institute and The Boston Globe Magazine. Prior to holding her present roles, Ms. Sullivan was Executive Vice President and Chief Operating Officer and Vice President of Sensor Products before the business was spun off from Texas Instruments in 2006. She serves on the board of directors at Avery Dennison Corporation (NYSE:AVY), and Associated Industries of Massachusetts. She is active in initiatives and organizations that focus on STEM education for women and currently sits on the Board of Trustees of Our Sisters’ School (OSS) in New Bedford, Massachusetts, a tuition free, independent school whose mission is to educate and inspire economically disadvantaged girls from the New Bedford area. Martha is also a member of the President’s Advancement Council and President’s Alumni Council at Michigan Technological University. She was inducted into the Academy of Mechanical Engineering at Michigan Tech, and holds an Honorary Doctorate in Philosophy from that institution. Andrew Teich has served as a director of the Company since May 2014. In June 2017, after 33 years with the company, Mr. Teich retired as the President and Chief Executive Officer of FLIR Systems, Inc. (“FLIR”), a position he had held since 2013. FLIR is a designer, manufacturer, and marketer of thermal imaging and stabilized airborne camera systems for a wide variety of applications in the commercial, industrial, and government markets. 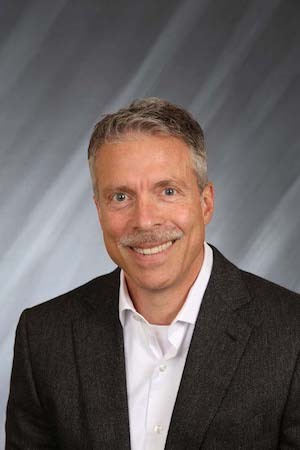 Mr. Teich joined FLIR in 1999 as Senior Vice President, Marketing, and held various positions within FLIR since that time, including President of Commercial Vision Systems and President of Commercial Systems. 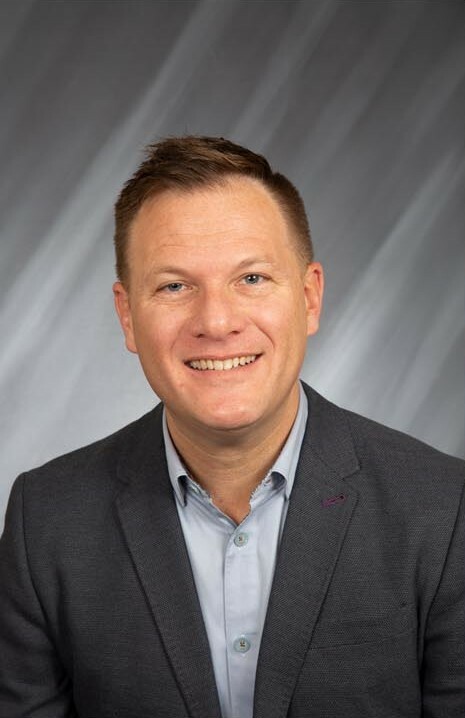 Prior to joining FLIR, Mr. Teich held various positions at Inframetrics, Inc. (acquired by FLIR in 1999), including Vice President of Sales and Marketing and various sales roles. Mr. Teich served on the board of directors of FLIR from July 2013 until his retirement in June 2017. Mr. Teich is a seasoned executive who brings to the Board relevant industry experience combined with sales and marketing skills. Mr. Teich has been involved in more than 25 technology company acquisitions and is listed as an author on more than 50 patents. Thomas Wroe was appointed our Chairman in January 2013 and served in that capacity until May 2015. Previously, he served as Sensata's Chief Executive Officer and an executive director from our initial public offering in March 2010 until December 31, 2012, and as Chairman of the Board of Directors from March 2010 until July 2012. Prior to our IPO, Mr. Wroe was the Chief Executive Officer and Chairman of STI since April 2006. Mr. Wroe served as the President of the Sensors & Controls business of Texas Instruments from June 1995 until April 2006 and as a Senior Vice President of Texas Instruments from March 1998 until April 2006. 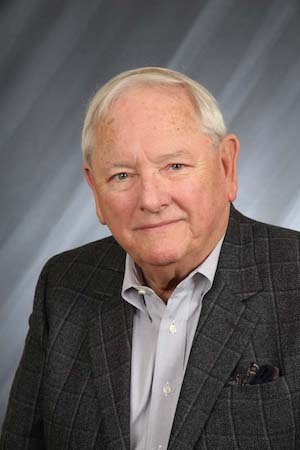 Mr. Wroe began his career with Texas Instruments in 1972, and prior to becoming President of the Sensors & Controls business, Mr. Wroe worked in various engineering and business management positions. Mr. Wroe is a member of the Executive Committee of the Massachusetts Business Roundtable and the Board of Trustees of the Massachusetts Taxpayers Foundation. He has been a director of Chase Corporation, an industrial manufacturing company, since 2008 and a director of GT Advanced Technologies, Inc., a diversified technology company, since 2013. He has been the Chairman of the Board of Apex Tool Group, LLC since September 2013, and was its CEO from October 2014 through February 2016. In addition, he is a member of the Board of Advisors to Boston College’s Carroll School of Management, and was formerly chairman of the board of directors of Cape Cod Healthcare and the Associated Industries of Massachusetts. Mr. Wroe brings significant senior leadership, operational, industry, and technical experience to the Board. He has extensive knowledge of our business, including its historical development, and important relationships with our major customers. Mr. Wroe has been an important contributor to the expansion of our business through both organic growth and acquisitions, and as CEO, Mr. Wroe had direct responsibility for our strategy and operations. Stephen Zide has served as a director of the Company since our IPO in March 2010. He also served as a director of our principal operating company, STI, from April 2006 until the IPO. From 2015 to 2017, Mr. Zide served as a Senior Advisor of Bain Capital. From 2001 through 2015, Mr. Zide was a Managing Director of Bain Capital. Prior to joining Bain Capital in 1997, Mr. Zide was a partner of the law firm Kirkland & Ellis LLP, where he was a founding member of the New York office and specialized in representing private equity and venture capital firms. Mr. Zide has been a director of Trinseo S.A., a global materials company, since 2010. Previously, Mr. Zide served on the board of directors of HD Supply Holdings, Inc. from 2007 through 2014, Apex Tool Group, LLC from 2013 through 2014, Innophos Holdings, Inc., a producer of specialty phosphates, from 2004 through 2013, and Consolidated Container Corporation, a private company, from 2012 through 2017. Mr. Zide brings to the Board extensive negotiating and financing expertise gained from his training and experience as a legal advisor, and later as a private equity professional and financial advisor. In addition, Mr. Zide has had significant involvement with us since April 2006, and has served as a director of numerous public and private companies during his career in private equity and law.